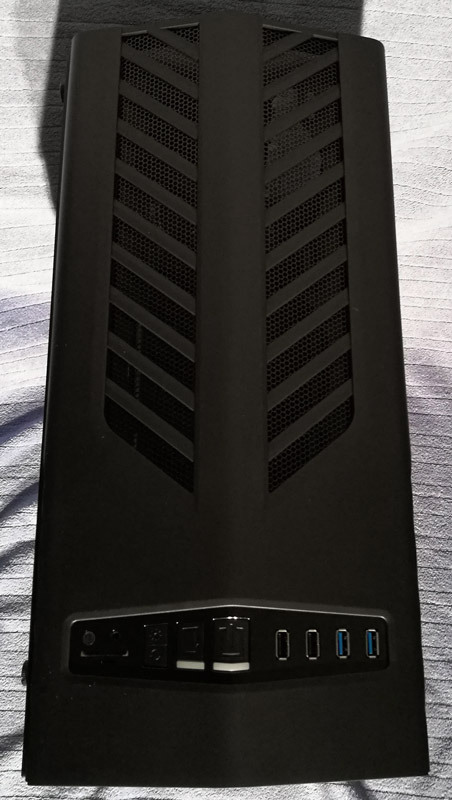 I will take the P7-C1 Aerocool Tempered glass Edition Midi Tower once more under the magnifying glass for you. 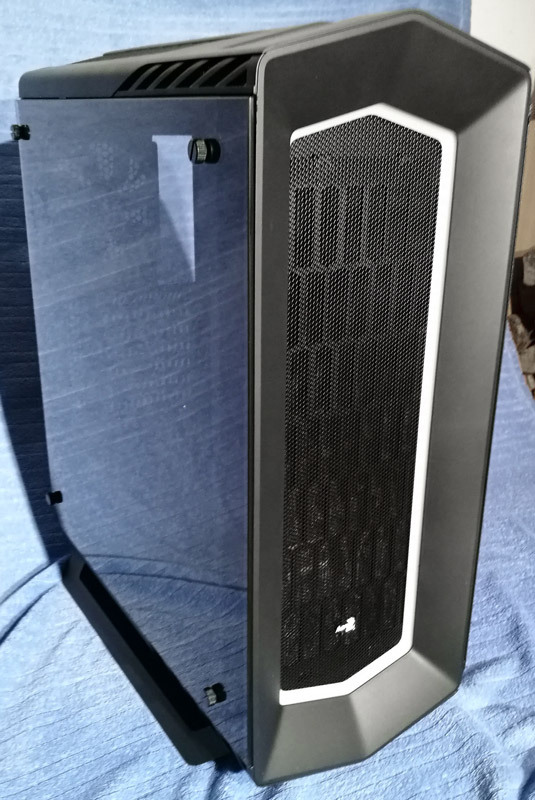 Since it's my first PC case review, I ask for a little indulgence. The very appealing Tower included a side panel made of tempered smoked glass located in a hexagon design. 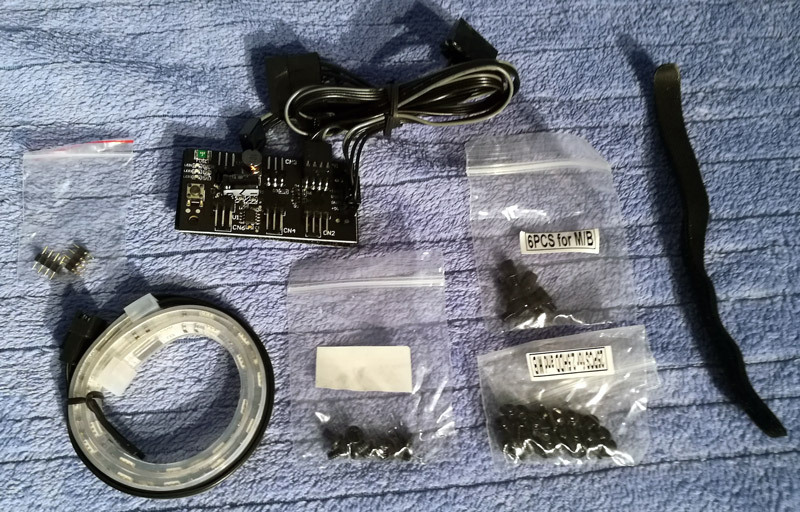 The accessories supplied consists of the fan controller, 3 screw sets with spacers and screws for the motherboard and HDD/SSD mounting screws, as well as an RGB LED stripe with Velcro holder and 2 pin header for additional RGB lighting. In addition, a manual is located in 12 languages in the scope of delivery. The design is in my opinion quite simply and has no unnecessary gaming accessories. 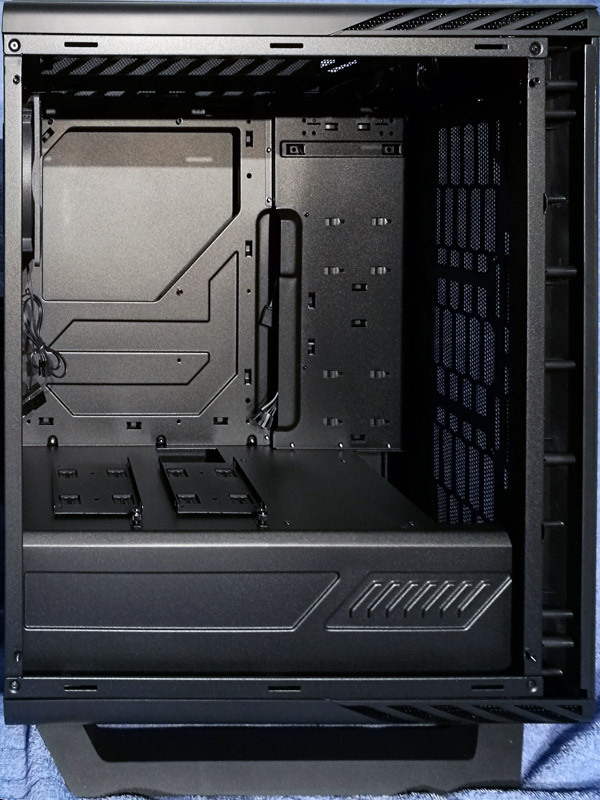 The RGB LED Lighting control settings are located in the front panel next to the usual power and reset buttons. 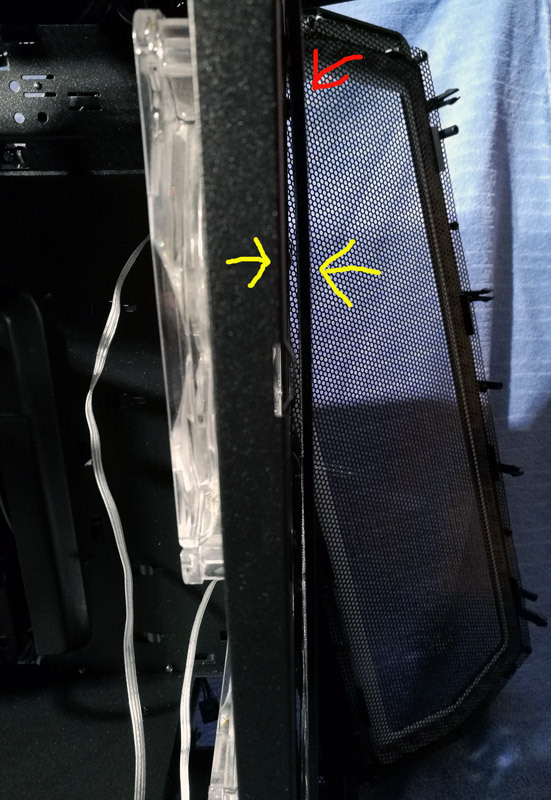 While facing the power button the PowerOn light and the reset button light is blinking for HDD, the rest is unfortunately not lit. In bad light the control buttons for the RGB are therefore somewhat difficult to find. Also not very useful is, that microphone and headphone jacks have no color code, because the manual does unfortunately not describe the jacks. Here is asked to try out. The left 3.5mm jack outside is for mic, the other for the headphones. 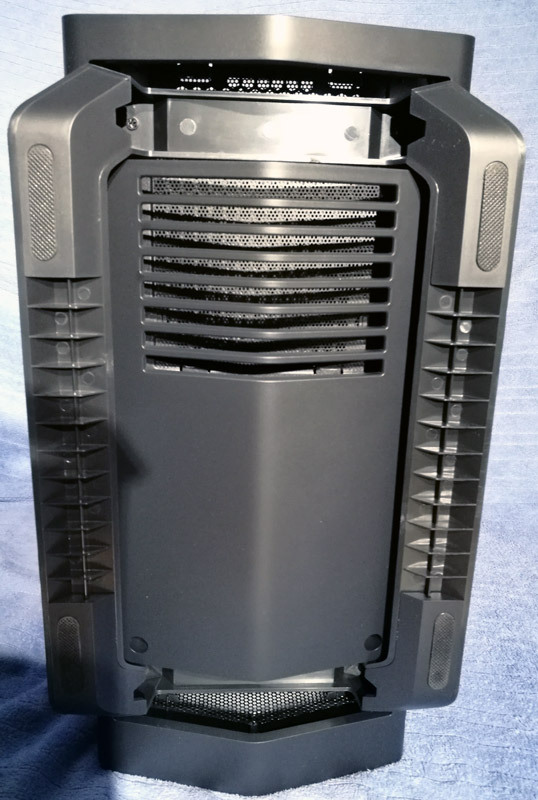 In addition, the P7-C1 Aerocool offers also a fan controller for up to 5 fans, one of them via 4pin PWM connection, the others with 3 pin fan connectors. The fan control via PWM signal is controlled by the motherboard, but also a manual control is possible in some cases. It offers the PWM signal via softswitch, which can be controlled to offer 100% or 60% power. Unfortunately the PWM control not worked in my case, because the fan ran always on 100% even when I have put the BIOS PWM signal on silent. The two other settings works good. All settings are indicated by 3 LEDs. 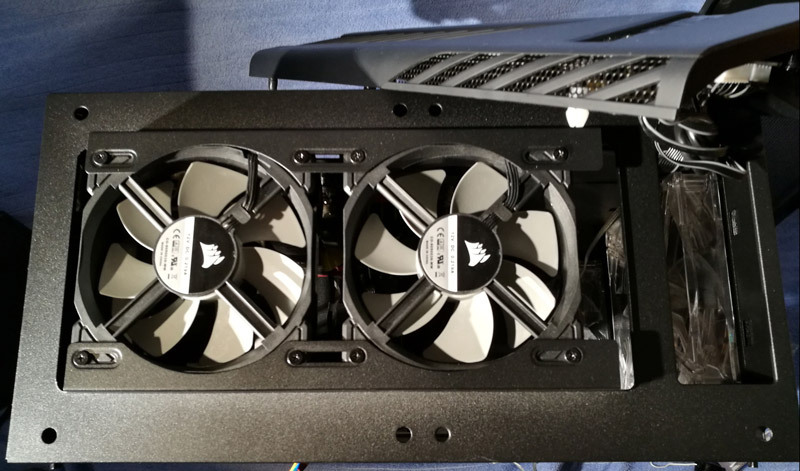 When reassembling the front fan, a little thing is noticed. Here, you would have delivered better a few screws with countersunk head and slightly sunk the provided mounting holes. The screws of the fan press the dust filter so unfortunately slightly forwards, what's not so good. 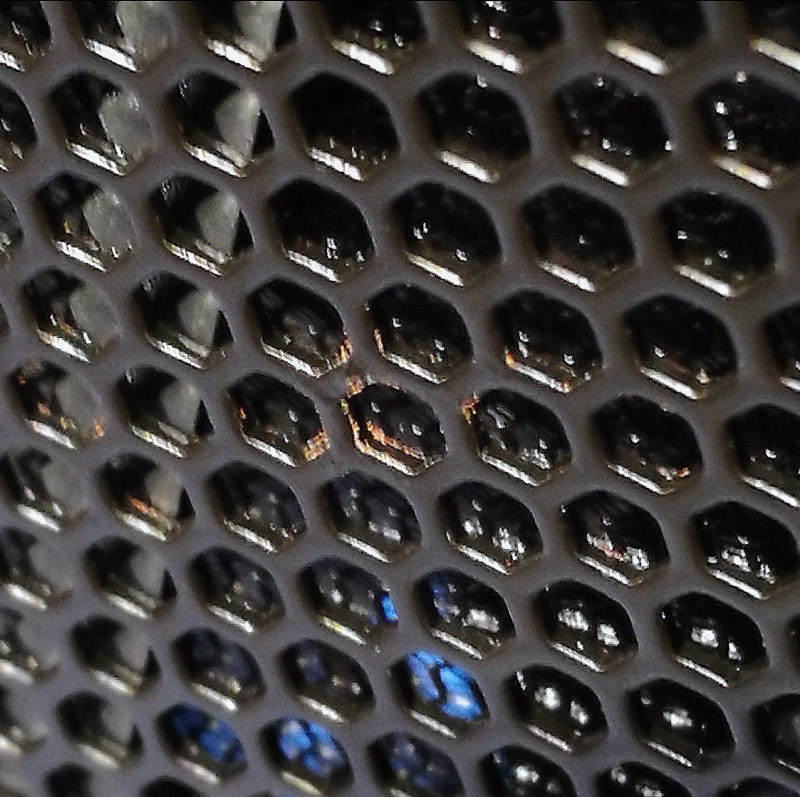 Also not so great is that the fan grill in the front has been a light infestation of rust. 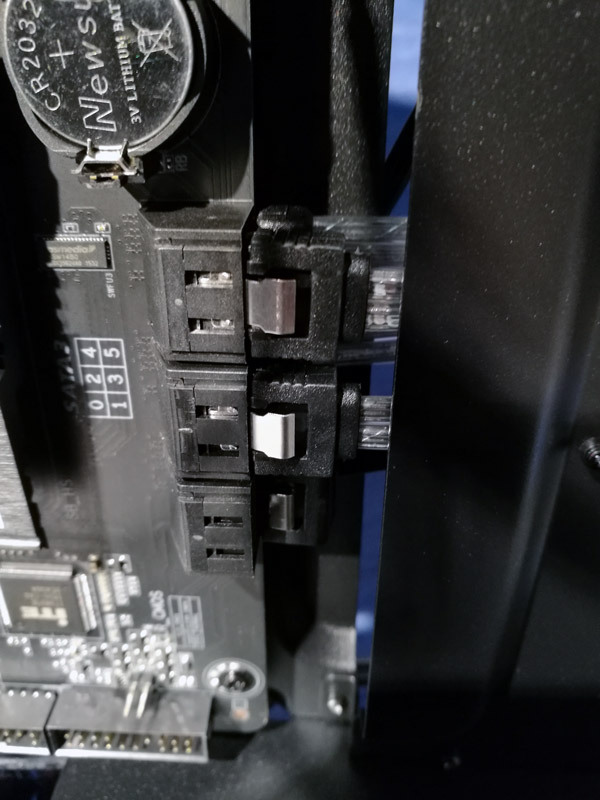 After the installation of the ATX motherboard, one sees also that here is also quite narrow for the SATA connectors, what is somewhat fiddly but still possible for thick finger. I couldn't find fortunately no sharp edges and corners at this midi tower, so there should be no risk of injury during assembly. 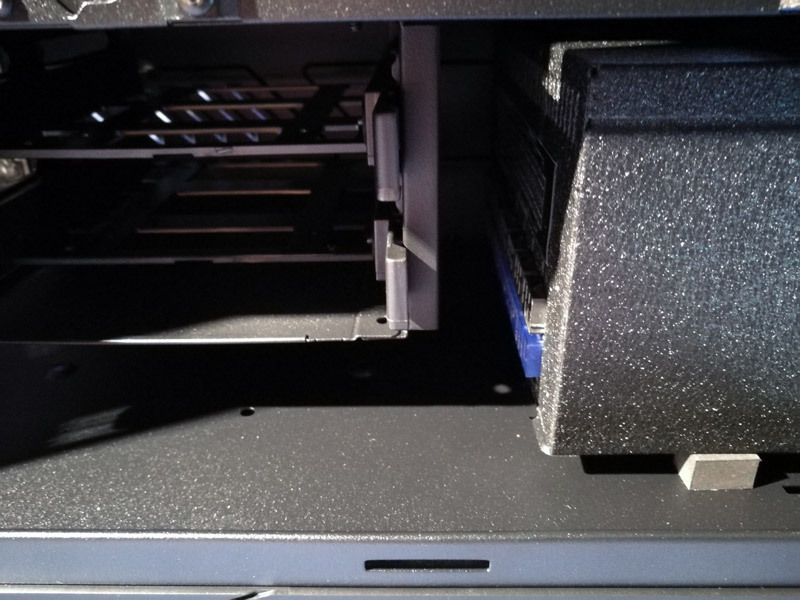 There is still a small bottleneck at the lower motherboard connectors, because at full occupancy, it is also quite closely. 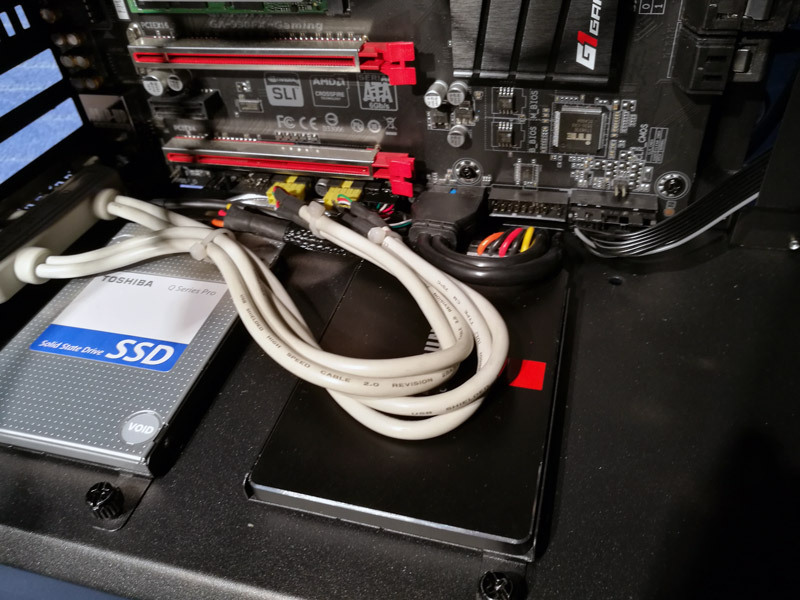 Here you can see very nice the two lower mounting positions for SSDs, the other two are located on the back. After everything is installed, it looks again really closely, if the board was quite well equipped. Yes, a quite confusion which is unfortunately not better by the many cable of the fan controller, etc.. So, proper storage of the cable is unfortunately almost impossible. 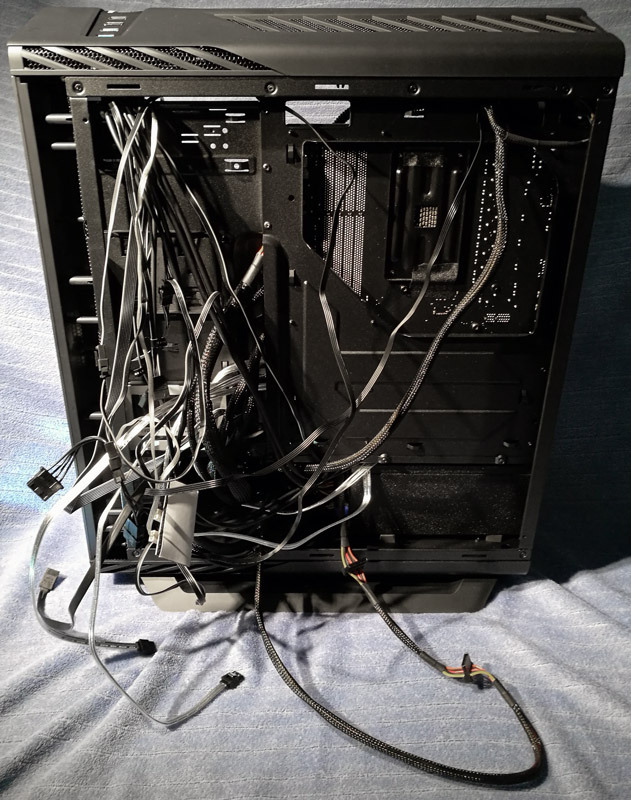 At least not if you not like to assemble the whole cables yourself. A little planning and a little gentle 'violence' and the panel still fit. 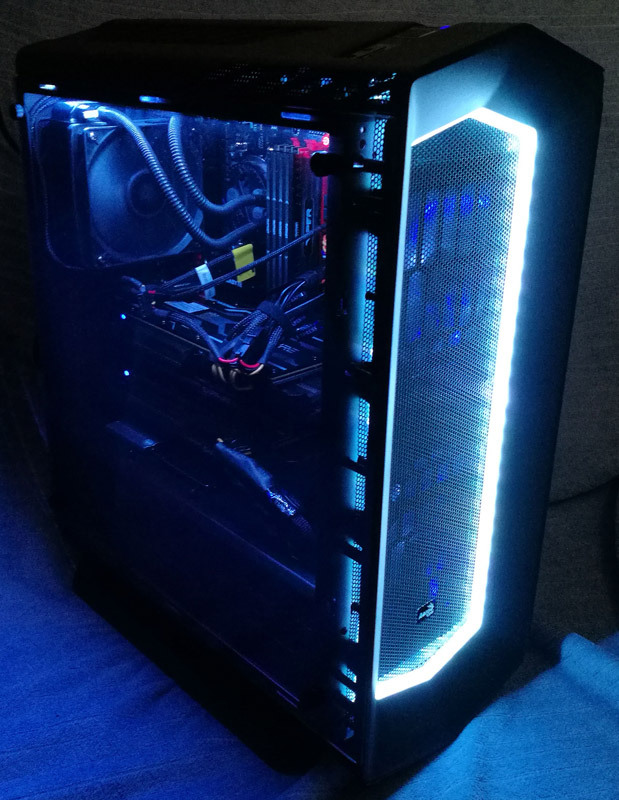 Despite the small weaknesses, such as the rust on the front (which surely is a singular case) and not properly function of my fan control, as well as the small space behind the motherboard, I like the Midi Tower very much. 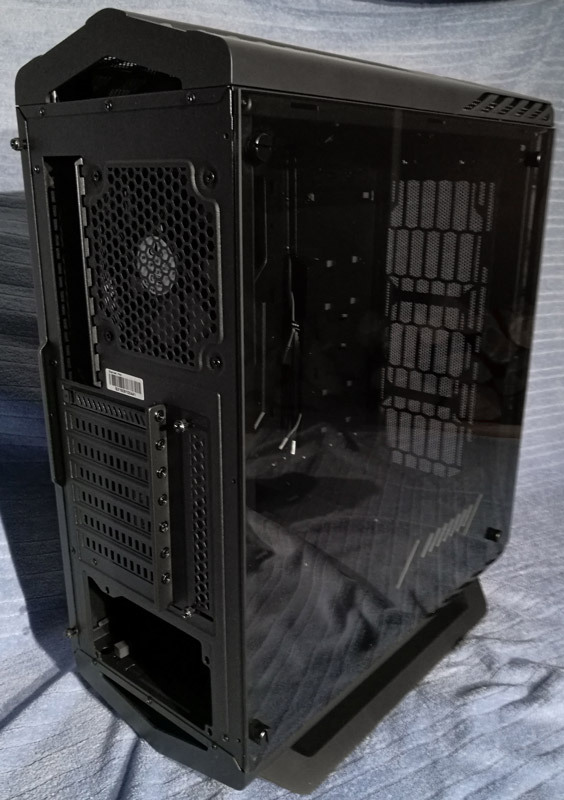 The tempered-glass side panel looks very good and you should not be afraid about scratches when cleaning, which unfortunately happens with plexiglass. I now no longer give the part anyway and like to write a general recommendation for this tower. 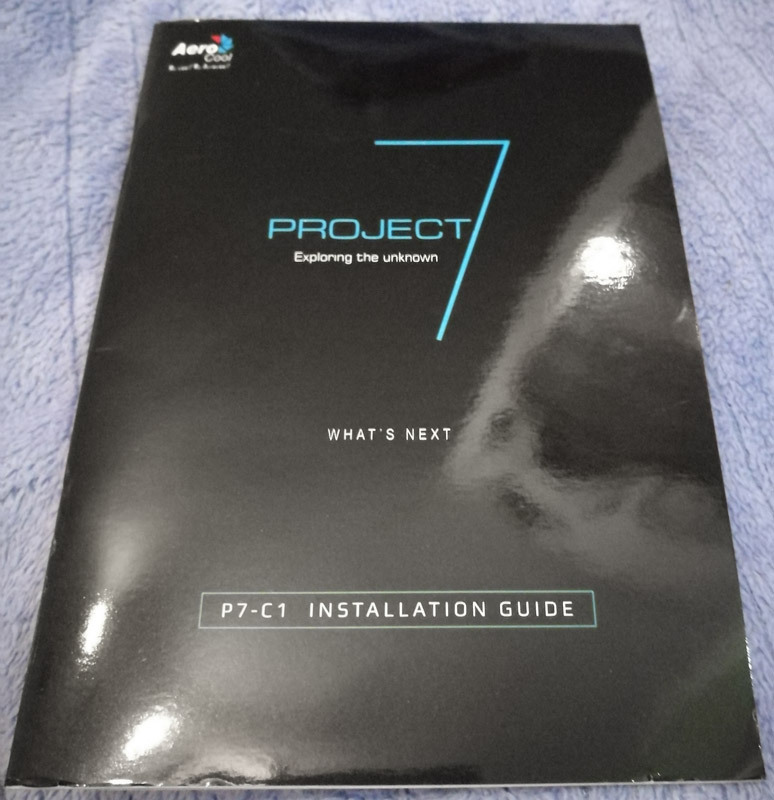 Here you can order the AeroCool Project7 P7-C1.